1142. How to stay healthy? Do your research. No respiratory distress. 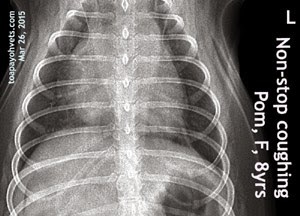 X-rays of normal heart and lungs for comparison with the Pom case below. 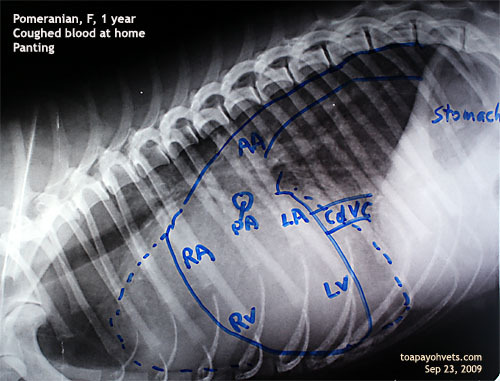 The first vet had taken a 2nd X-ray 7 days ago when the dog started coughing again and prescribed medication. He did not think it was a heart problem. 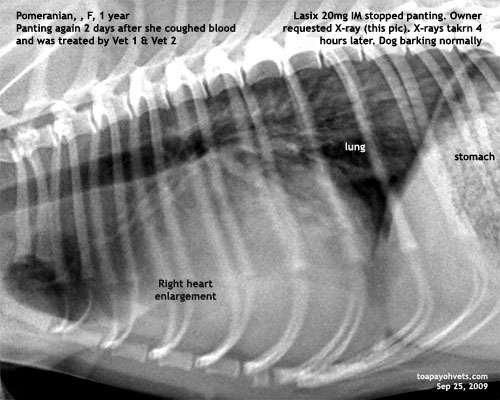 Yet the dog's coughing got worst and became continuous during the past week. The owner consulted me. 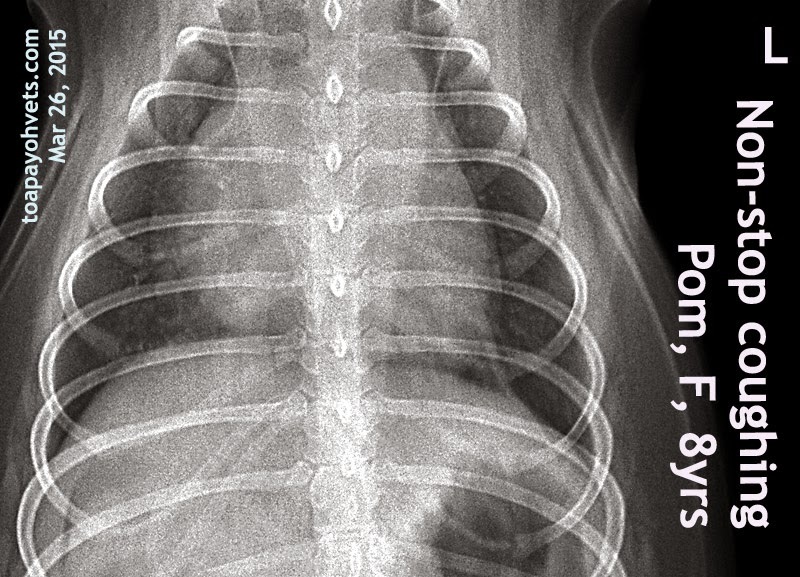 No X-rays were taken by me. No heart murmurs. Irregular heart beats. What is the problem? Any cure? 7-year-old Pom with continuous coughing. 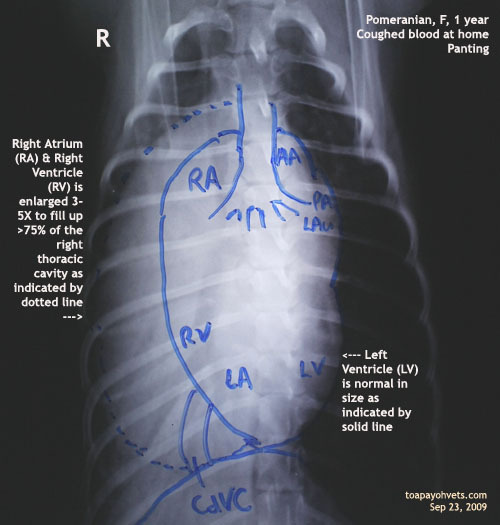 Pulmonary edema (cloudy lungs). 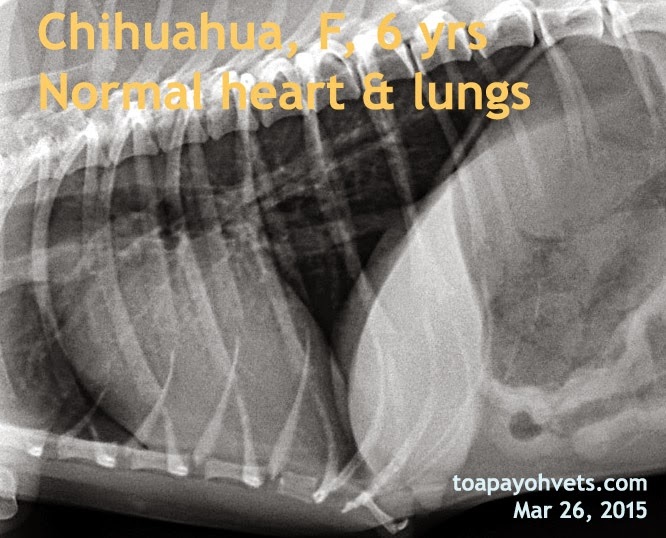 The right and left ventricles are enlarged when you compare to the normal heart of the Chihuahua. No heart murmurs. Irregular heart beats. No cardiogram or another X-ray were done during consultation at Toa Payoh Vets,owing to cost constraints. 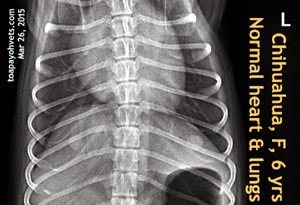 7-year-old Pom with continuous coughing. The heart looks normal. 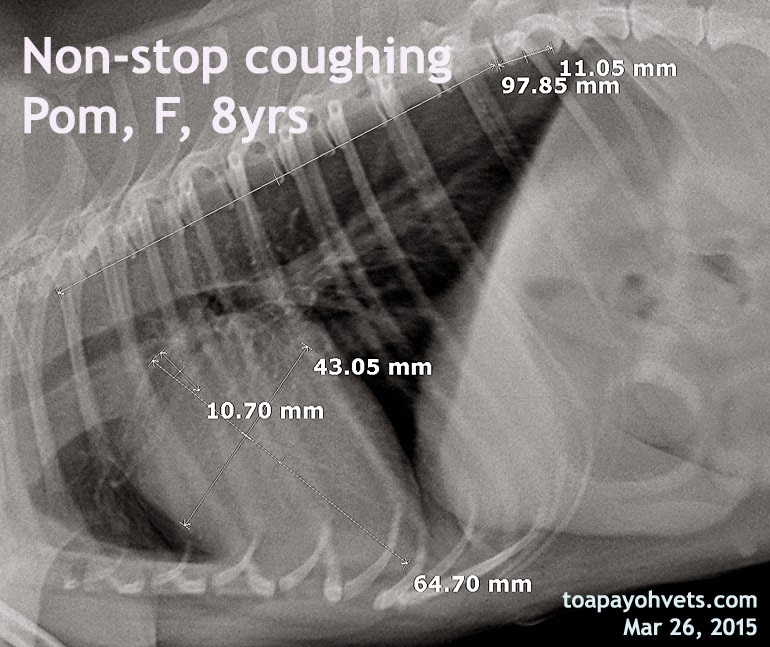 This X-ray by the first vet was taken around 7 days before the non-stop coughing presented itself. 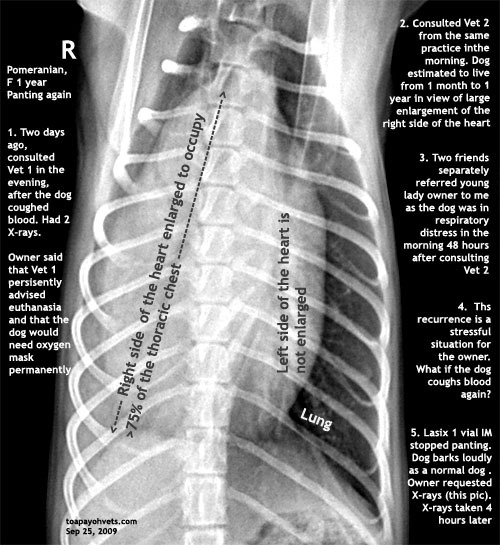 I did not have any X-rays taken to lower medical costs for the owner. ANOTHER CASE OF COUGHING AND PANTING in a Pom seen by me in 2009. POM, F, 1 year old.